Before visiting the school, the CBI team collected information from some of the school teachers, staff members and cross verified their statements matching with the charge sheet made by the Gurgaon Police Special Investigation Team (SIT). 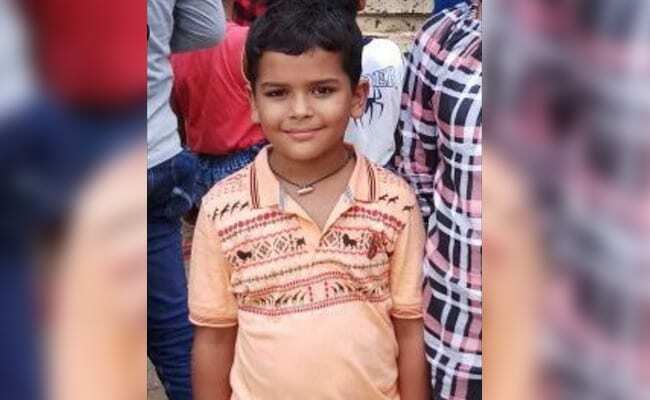 Gurgaon: A CBI team along with forensic experts today reached the premises of Gurgaon's Ryan International School where the body of seven-year-old Pradyuman was found with his throat slit on September 8. During its over seven hour-long investigation in the school premises, its FSL team collected finger print samples, foot prints, video graphed and took pictures of the crime spot. Later, they sealed the crime spot. "Some of the teachers helped CBI team to recreate the scene. They recalled the events at the school premises on September 8 when Pradyuman was murdered," the CBI officer leading the investigation told PTI. The team recorded their statements and also video-graphed it, he said, adding all the angles of the case will be investigated. If required, the team will also take all the three accused- bus conductor Ashok Kumar, Regional head of the group Francis Thomas and its HR head Jeyus Thomas to the school for further investigating the case on Sunday, the officer said. The CBI teams have also started questioning Mr Kumar, the prime suspect in the killing, Francis and Jeyus after taking them into custody. The agency had earlier approached the Protection of Children from Sexual Offences (POCSO) court seeking custody of the trio, which was granted. While Mr Kumar has been sent for one-day CBI custody, the remaining two are for two days, a CBI spokesperson said. "At the request of the CBI in an ongoing investigation of a case related to the alleged murder of Pradyuman, the competent court today remanded three accused in one day police custody," the spokesperson said. The investigative agency took over the probe on Friday. The CBI officers had yesterday visited Gurgaon Police Commissioner's office and collected the charge sheet, FSL and other key evidences. According to sources, the CBI teams are likely to summon CEO Ryan Pinto, Managing Director Grace Pinto and Founding Chairman Augustine Pinto for questioning next week. Meanwhile, Pradyuman's father, Mr Barun Thakur said, "I had suspected there's a background to Ashok coming out as culprit. I hope CBI probes the case fairly from different angles. I am satisfied now after the CBI took charge of the case," he said. Mr Thakur's lawyer had threatened to move the Supreme Court if the CBI didn't start the probe within a day or two. The case had been registered at the Bhondsi police station in Gurgaon under the IPC section related to murder, and relevant sections of the Arms Act, the POCSO Act and the Juvenile Justice Act.